Adjust content of Fe in alloy of different trademarks to replace master alloy and reduce melting temperature. 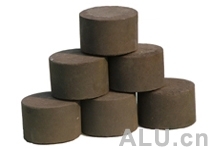 Decide the amount of Fe agent with 90-pct actual yield rate according to alloy element of the trademark and analysis result before-furnace. 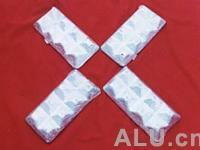 Equally spread the agent in aluminium melting pond after cleaned the residue. Then, when flammule disappears, more efforts should be contributed to manual milling until it is well proportioned. 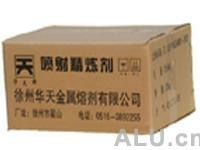 25kg per box, kept in dry places, can last for 6 months.